If you have never been to Riga then, running a marathon or half-marathon could be a good reason to visit one of the most beautiful cities on the Baltic Sea coast. Marathon running has a long history in Riga City and after 27 years it has grown to welcome 33,000 runners from 70 countries offering five race courses and running festivities throughout the weekend. Since 2007 the course of the Lattelecom Riga Marathon is officially measured according to AIMS standards and for six consecutive years Lattelecom Riga Marathon has received the prestigious IAAF Bronze Label. Marathon has been popular in Riga since the beginning of mid 80s. The first races were based on the idea of Latvia independence and therefore they were called the Folk Song Marathons. The course was in laps and therefore it was possible to cover as long distance as each participant was capable, at the finish line receiving a part of Latvian national symbol – fragment of waistband from national costume – giving the feeling that participants run for independence of Latvia. There were 10,000 participants in the first Folk Song Marathon. The first Riga marathon organized by the Riga City Council took place 26 years ago – in 1991 – even before Latvia was independent country again. There were several hundred participants each year but just in recent years the race has achieved popularity in the international marathon community, attracting participants from countries far and wide. Last race in 2016 assembled the record number of participants – there were 33,590 participants from 65 countries. Since 2012 Lattelecom Riga Marathon has been awarded the prestigious International Association of Athletics Federations (IAAF) Road Race Bronze Label. Lattelecom Riga Marathon at the moment is the first and only marathon in Northern Europe to receive this award. For the sixth consecutive year Lattelecom Riga Marathon will take place under the prestigious International Association of Athletics Federations (IAAF) Road Race Bronze Label. Lattelecom Riga Marathon still holds its position as the only race in Northern Europe and one of only 55 races globally to receive this prestigious award. Lattelecom Riga Marathon winner Bekelech Daba produced the fastest women's marathon time ever recorded in Latvia when winning the IAAF Bronze Label Road Race in a course record of 2:31:22. Kenya's Joseph Kyengo Munywoki made a late break in the men's race to win the title in 2:12:14, the second-fastest time in the 25-year history of the race. The course lies in the very centre of Riga City and all runners can enjoy the charm of the largest city in the Baltic States. The course allows all visitors to run on both sides of the Daugava River, the largest river in Latvia and with the help of three bridges - Vanšu, Akmens and Salu. 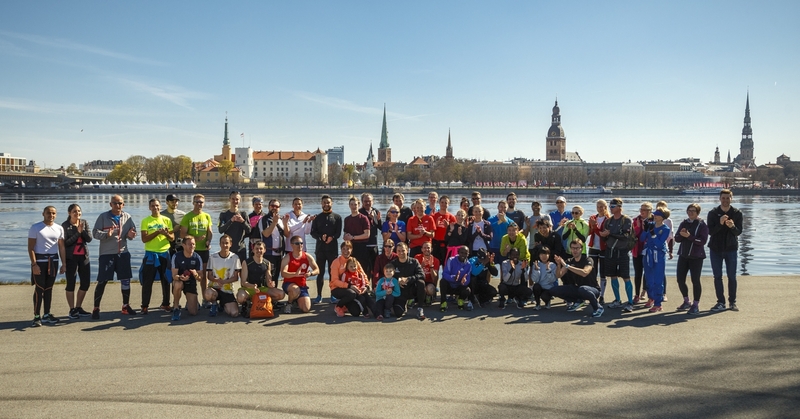 Runners can enjoy some of the most beautiful spots in Riga – the Art Nouveau district, the amazing panorama of Old Riga and Pārdaugava, as well as the paved streets of the Medieval Hanseatic Old Town and wooden architecture of Ķīpsala island. Riga is rather flat without significant hills or ascents; therefore the only major challenge is crossing the bridges. The marathon course has been measured and certified by AIMS, the Association of International Marathons and Distance Races. All courses are traffic-free.